3 Things that Need Changing in the Church… It’s Time. Be Known for Something : Discover Your Church Communication Thread / Communication Strategy / 3 Things that Need Changing in the Church… It’s Time. We have a lot of change in our home. The adage “the only thing in life that’s consistent, is change” is so true. Our son just graduated from high school and our younger son became a senior in high school. 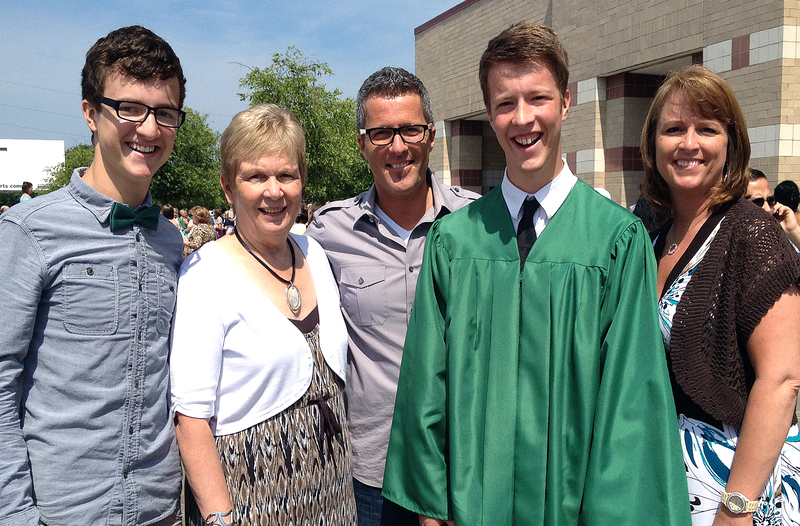 This is a picture of us at the graduation (along with my Mother-in-Law from Canada). They’re growing up, asking for more responsibilities, wanting to spread their wings more. Change is scary. We had family visiting because of the graduation. We have young people coming and going in our house. We’ve had huge (good) changes at the office. We’ve renovated the front yard of our home. And now I’m building out an apartment space for our upcoming college freshman. Plus, I’m traveling and speaking at conferences, watching and managing a growing client-base. And trying to be an excellent husband. But I love Change. God loves change. Seasons change. We change. So how do you know when your Church Communications should change? Your website? If you haven’t changed your website “base” design in the last 2 or 3 years, it’s time. There are so many incredible, innovative options for websites that have just been developed. You can do more for less. Web content? If you haven’t changed it in the last week or two, it’s time. Search engines check your website every week to 10 days and if you aren’t changing content, they lower your ranking. And your congregation does too. Brand positioning? If you haven’t revisited it in the last 3 years, it’s time. You should be testing its effectiveness and see if it’s still working. It may have gotten tired and meaningless. It might be time to graduate from it. One thing that doesn’t need change: your Biblical message. I believe that God’s Word (the Bible) remains the same. It’s consistent. It’s enough. And although methods change (and should); your message (God’s message) is eternal. Change. Start now. Fall’s coming!